If you answered yes to any of these questions, the library’s Vault Campus Edition database can help. 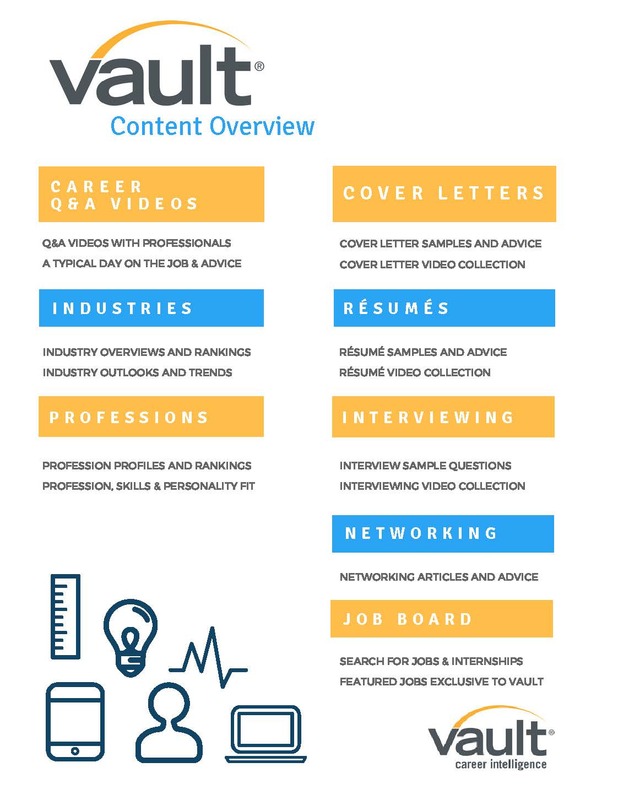 Here are some of the ways that Vault can help students who are on the job hunt. 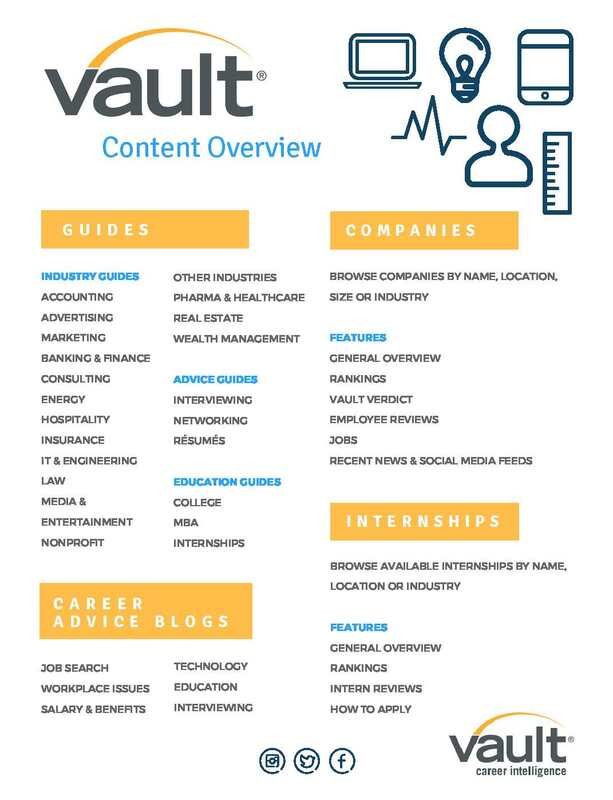 Vault Industry Guides: EBooks that cover all of the key things you need to know for starting a career in your industry. For each career, these guides cover key topics like pay, employment and advancement prospects, job requirements including certifications, associations, and networking opportunities. Explore Internships: Rankings of the best internships in different fields and a tool that allows you search for internships by location, industry, and compensation. Company Guides: Rankings of the best companies in different industries and individual entries for several companies that can be browsed or searched. These entries have information about company culture and employee reviews.